Woodstock Hardware knows there is a lot to know about properly taking care of your spa or pool. There are many different types of spas and pools and a variety of operating systems. Here are a few tips on caring for a simple above ground pool. The most important aspect for keeping your above-ground pool in tip-top swimming condition is to always check your chlorine level daily. Algae can and will grow if your chlorine level drops dramatically, and you definitely do not want that to happen. Algae are slimy and difficult to clean. The floating canisters of chlorine are the easiest means by which to ensure adequate supplies of chlorine. They are maintenance-free. All you do is poke a hole in the vent at the top, then look for the hole next to the amount of gallons of water in your pool. There are usually two holes, one on each side of the canister. Poke a hole in these, using a nail or other sharp object, and drop the canister in your pool. The canister will normally last three weeks to a month and floats on its side when the chlorine runs out. All you do is remove it from your pool and put another one in. Keep your pool covered when not in use. This will help to keep leaves and other debris from blowing in and make vacuuming easier and quicker. Solar covers for above-ground pools are sold through mail order catalogues and at department or pool supply stores. The specially designed bubbles on these covers attract the solar energy from the sun and heat the water in your pool. 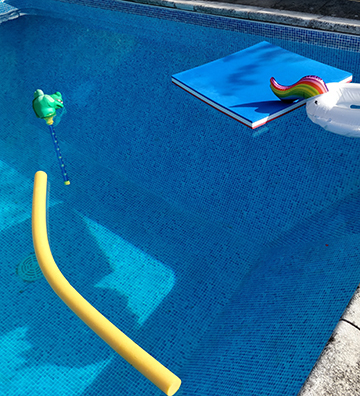 Vacuuming dirt from the bottom of the pool is quick and easy. Depending upon the amount of use and how much debris gets blown into the pool, you will have to vacuum at least once or twice a week. The newer filters only need to be cleaned at the beginning of your swimming season. Block off the intake valve (where the water enters the filter from your pool), disconnect your electrical supply, remove the inside of the filter, and hose off the paper with a hard spray of water. Reinsert into filter, turn it on, and you’re done. 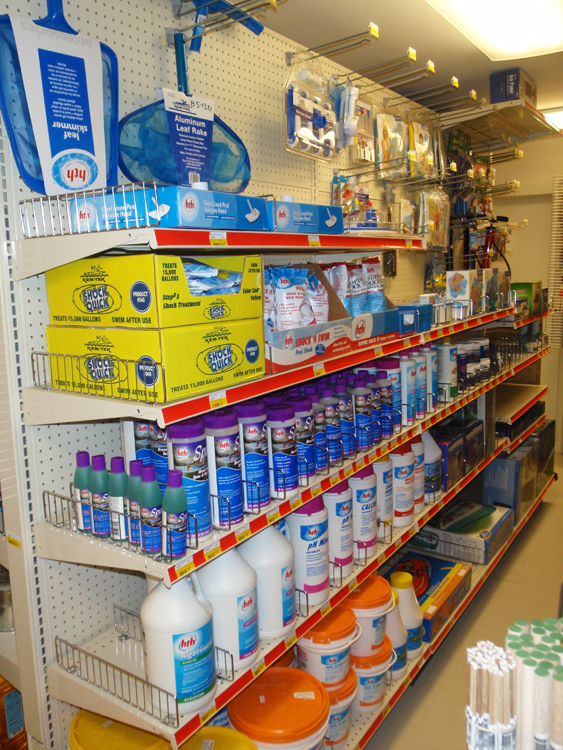 Woodstock Hardware has a complete supply of pool & spa necessities. 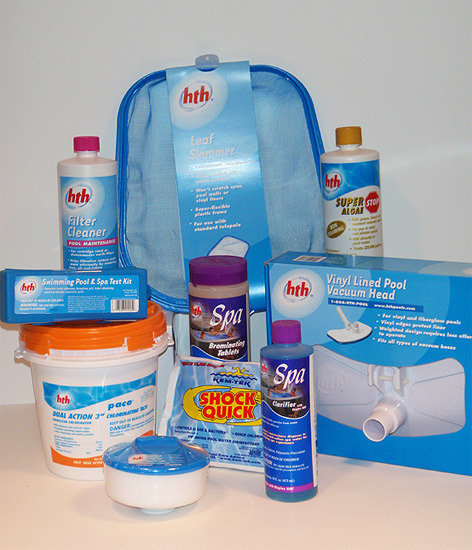 Woodstock Hardware offers a wide range of supplies to help you care for and maintain your spa or pool. And for those folks who want the fun, we also carry pool floats, air mattresses, and pool toys. Whether you are swimming with the kids or sitting on your favorite float it’s fun to be in the pool. At Woodstock Hardware we know how much time and effort goes into maintaining a pool or spa so we offer a wide range of supplies to help you care for yours all summer long. If you find we don’t have a specific supply you need please let us know, we’ll be more than happy to include your supplies in our inventory.